Today we bought our first real Christmas tree, which means it’s time to get the decorations out! Since it’s our first Christmas in our new house (and last year we had to have a teeny tiny tree because our living room was too small to swing a cat in it) I decided that I wanted to get lots of new decorations to deck the house out with. 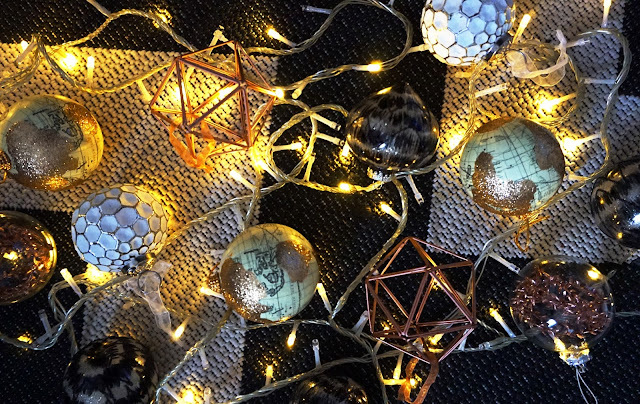 What better place to find the most beautiful baubles than Homesense?! I’ve gone a bit mad for copper (who hasn’t?) this Winter and much to Dan’s dismay have bought numerous accessories to adorn the living room with, so naturally I needed some copper decorations for the tree! 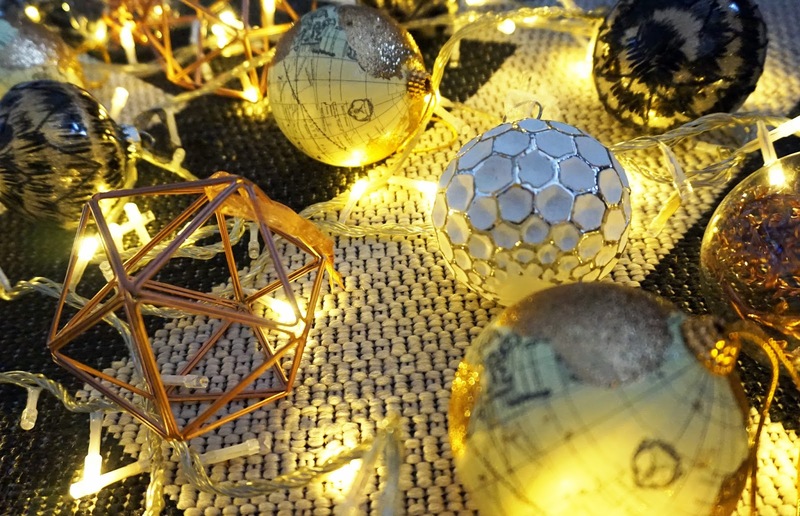 The first things I spied were some gorgeous geometric baubles made from metal that I didn’t even need to think twice about. I don’t have the price tags any more (far too eager) but from what I can remember they were around the £3.99 mark. To go with the copper theme I also picked up some beautiful glass baubles with copper leaves inside them for around the same price. Now because a tree entirely decorated in copper would be a little on the boring side, I decided to team it with a monochrome and metallic theme that will tie in nicely with our living room decor, so I set off on the hunt for some pieces that would fit in. I found some cute little vintage globes dusted with gold glitter, a set of glass black and metallic patterned baubles, and some beautiful white ones with silver detailing. I can’t wait to get all of these up on the tree when we decorate it in the next couple of days. I will no doubt be paying another visit to Homesense very soon to stock up on some more decorations as there’s always something new in store! 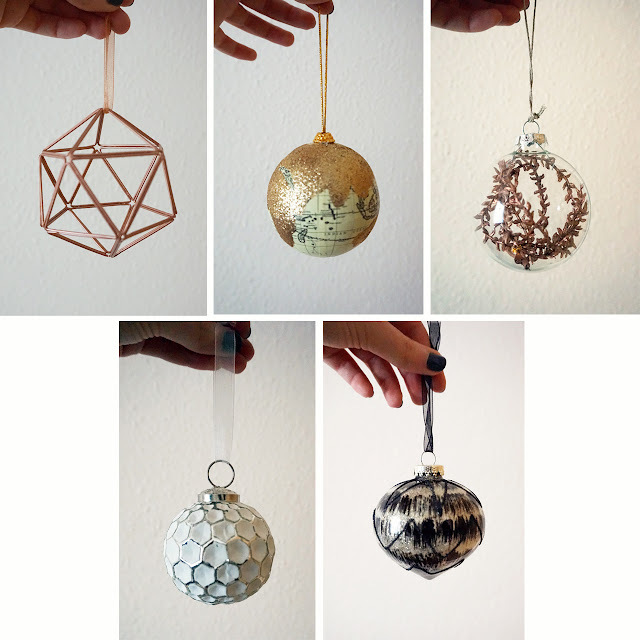 If you’re stopping by your local Homesense this Christmas, why not take a part in their ‘Hang A Bauble’ campaign? Buy a Christmas bauble for £1, write a festive message on it and then hang it on the special HomeSense Christmas tree in your local store. All proceeds from the bauble donations will go to Action for Children, which I think you will all agree is a brilliant cause, particularly at this time of year! How will you be decorating your homes this Christmas?